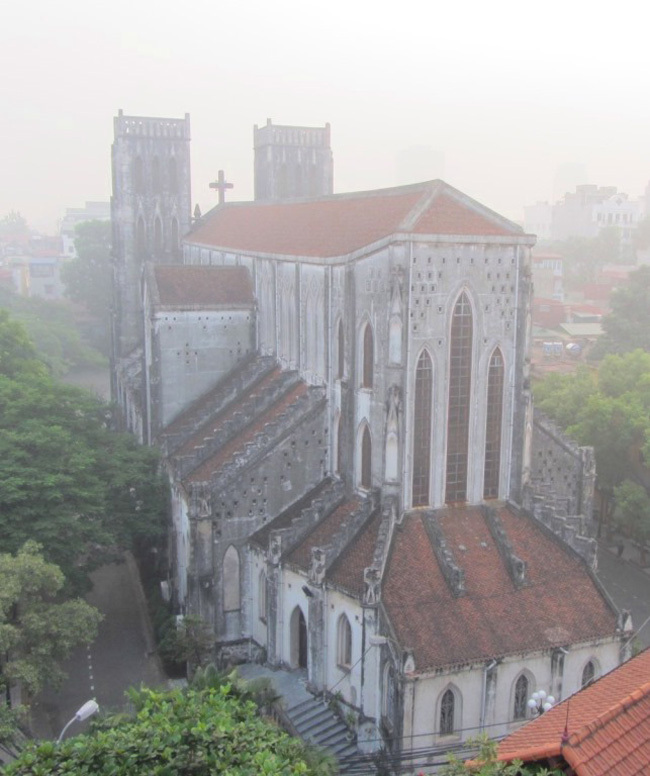 In the quiet, shaded alleyways, behind the neo-Gothic façade of St Joseph’s Cathedral, the Hanoi Impressive Hotel is my go-to place to stay when visiting the capital. Stylish yet homely, modern yet elegant, the Impressive is excellent-value, mid-range accommodation, right in Hanoi’s historic heart. 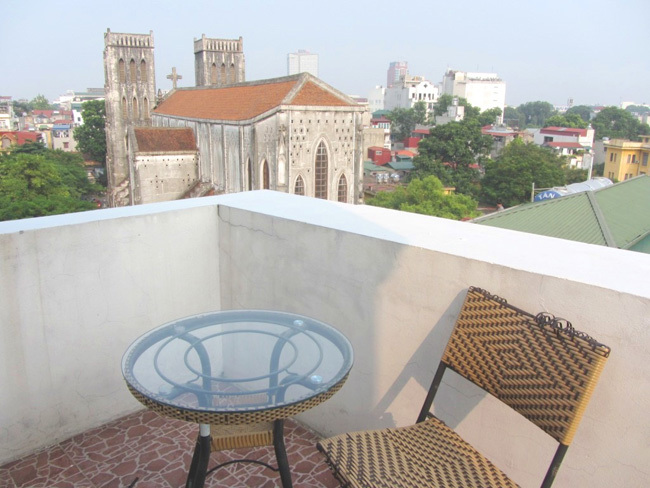 Rooms are well-equipped and comfortable, but their greatest asset are the cathedral views from their balconies. 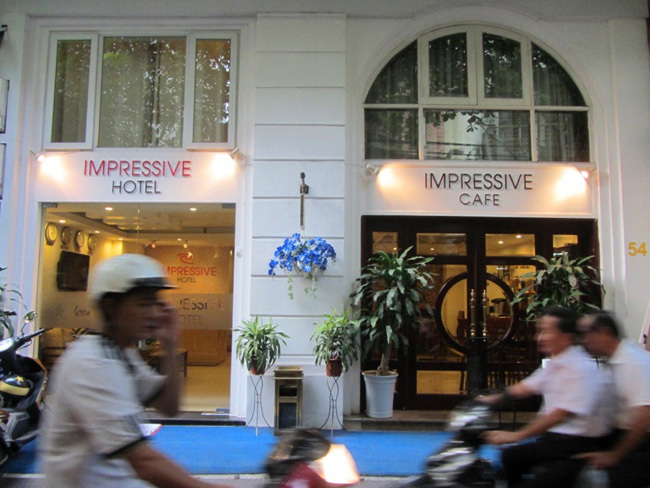 Below is my review of the Hanoi Impressive Hotel. The trendy streets around St Joseph’s Cathedral have long been a favourite area of mine when staying in Hanoi. There’s a cluster of mid-range accommodation here, but Hanoi Impressive Hotel beats them all for value and facilities. Located down an alley opposite the north side of the cathedral, the Impressive has an elegant, European-style entrance. But look up and you’ll realize it’s a typical modern Vietnamese town house: tall and slender, like a meerkat standing on its hind legs. In fact, the Impressive is two town houses, each eight storeys high, with separate elevators. The lobby and adjoining dining area (where breakfast is served) is comfortable and clean but bland. Staff at reception are well-trained, warm, friendly and very helpful. When booking a room at the Impressive, be sure to ask for one at the front of the hotel, on a high floor with a balcony (rooms at the back do not have balconies and are, relatively, dark and pokey). A high floor ensures that you’ll have superb views over the big, neo-Gothic backside of St Joseph’s and the surrounding rooftops. Rooms are fairly small, but very well appointed indeed: wooden floorboards, personal computers, flat screen TVs, attractive light fixtures, coffee making facilities, minibar, wifi, balcony furniture, and fully equipped bathroom. 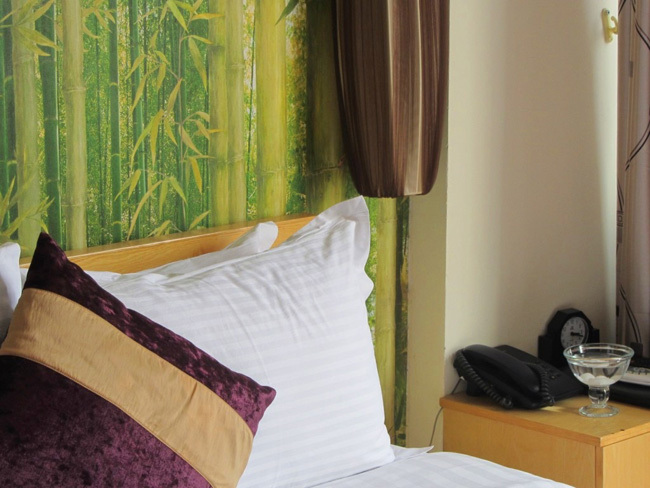 Beds are soft and comfy with bright, fresh linen. The balconies are marvellous during the hot summer months, but the rooms are also very cosy during Hanoi’s cold, grey, drizzly winters. The bells of St Joseph heard through the early morning mist is a romantic and eerie experience. Although even the family rooms would feel a little cramped with two adults and a child, the Impressive is perfect for couples, or budget travellers looking to splash out on a few days of comfort after roughing it in the northern mountains. Room 803 is the penthouse, all on its own at the top of the hotel, with a balcony and a fabulous view. The buffet breakfast, which is included in the room price, is everything you need but not a memorable feast. The immediate vicinity is excellent for wandering around on foot. The narrow, leafy streets are lined with both cheap, local eateries and smart, western bistros. Apart from St Joseph’s, most of Hanoi’s well-known sights are also within walking distance: it’s a pleasant five minute stroll to Hoan Kiem Lake. Staff can help you navigate to the Old Quarter, the Temple of Literature, and the History Museum, among other places of interest. St Joseph’s Cathedral, HanoiThe fact that the Impressive is not actually in the Old Quarter works to its advantage: These days the Old Quarter, while still very attractive and interesting, is just too crowded and overrun with tourist trinket stalls to be relaxing or genuine. Here, by St Joseph’s, you still get some local life, especially in the evenings when Hanoi’s youth take their seats in cafes opposite the cathedral, drinking lemon tea and munching on sunflower seeds. 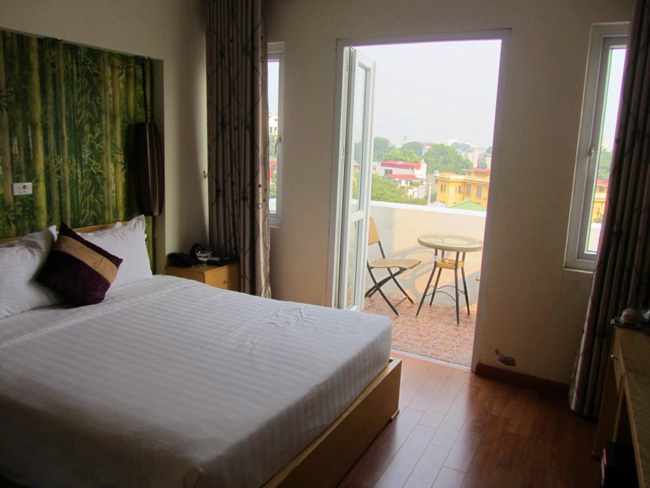 With average prices for rooms with balconies around $40 per night, the Impressive is superb value. Book in advance for the best rates, and try to take advantage of their free airport pick-up for guests staying three consecutive nights or more. For me, the Impressive is where I treat myself after weeks of guesthouses and camping in the mountains, or where I choose to stay if my family or friends from the UK are visiting Hanoi.